It stands to reason that if someone is attempting to kill you and you have a loaded gun, you will use it to stop the lethal attack. Right? Well, maybe. It is a common fallacy that placing a gun into the hands of a soldier or a police officer and providing the necessary training to use the weapon will result in the soldier or officer firing at an attacking enemy soldier or at an armed criminal who is attempting to kill someone, most especially if the soldier or officer is defending his or her own life. This assumption was challenged by Brigadier S.L.A. Marshall in his book Men Against Fire, written in 1947. Marshall was an official army combat historian during World War II. He conducted hundreds of interviews of enlisted men and officers regarding their combat experiences. He favored the group interview, where he would gather surviving members of a front-line unit together and debrief them on their combat experiences of a day or two before. These after-battle interviews revealed that 15 to 25 percent of front-line riflemen did not shoot at the enemy, even when attacked. Marshall also recorded interviews during the Korean conflict and found that the firing rate had increased to 50 percent. Still, half of the soldiers did not fire their rifles at the enemy. “We are on infirm ground when we hold to the belief that the routine of marksmanship training and of giving the soldier an easy familiarity with his weapon will automatically prompt the desire to use the weapon when he comes under fire,” he said. This cannot be a recent observation since man has been engaged in war back to our earliest civilization. The fact is that it has not been discussed; the losing side does not write history, and the winners cannot be bothered by what they must have considered an irrelevancy. They won, so what does it matter? Man has an aversion to killing man. Society, culture, morality and religion all speak against it. Of course, society allows killing while in defense of one’s person, family, home or even a stranger. The Castle Doctrine (“A man’s home is his castle”) states that it is not necessary to retreat when one’s home is threatened, and some societies have fostered the “unwritten law,” which allows a husband to kill a person found in bed with his wife. Christians and Jews can quote the Sixth Commandment as “Thou shall not kill.” It is almost universal morality that man does not kill man, unless permitted by law. Certainly the state allows self-defense and reserves the right to execute certain criminals. In war, it is the duty of the soldier to kill the enemy. These are acknowledged and permitted situations. So Grossman maintains that creatures generally do not kill intra-species and no other animal except man kills other animals of the same species. With rather limited exceptions (accidental deaths in mutual combat for dominance or mating), only some apes are known to kill apes from other tribes. It seems reasonable that animals that kill their own species will eventually, over a million years, manage to wipe out their own species. However, Lorenz qualifies the above statement that “creatures do not kill intra-species.” In his book On Aggression, he maintains that only those species with the physical attributes to kill (talons, tusks, claws or fangs) have developed such an inhibition, lest the species wipe itself out. On the other hand, species that lack these physical attributes to kill have never developed this inborn inhibition — man and chimpanzees. Man developed weapons that make him more dangerous than any other animal, while chimps use tree limbs as clubs or gang up to kill other tribes. Whether Grossman is correct that man has an inborn inhibition to kill man or Lorenz, who maintains that the inhibition that precludes intra-species killing is only seen in animals with the physical attributes to kill, the fact remains that mankind has adopted a universal morality that forbids homicide except under law or war. This inhibition definitely influences law enforcement officers and soldiers to some degree. The above discussion on universal morality, religion and laws might explain, in part, the reason why a man finds it difficult to kill another man. But as Marshall noted above, marksmanship and familiarity with a weapon is no guarantee that the person will kill in battle. The police officer is exposed to marksmanship upon employment and must demonstrate proficiency with his weapon. However, this is a perishable skill and, unless continually reinforced with proper practice, it will degenerate. Police department policies and practices vary among the 18,000-odd local, state and federal law enforcement agencies in the United States. While some departments require their officers to practice marksmanship once a month, many others only require pistol practice once a year. The private citizen who decides to own a pistol will generally spend some time shooting at a paper target and acquire familiarity with the operation and safe handling of the weapon, but it will only be those few enthusiasts who make it a habit to practice frequently. The military has bought into Marshall’s observations. Notice that Grossman uses the words “precise mimicry,” meaning simulating the conditions on the field of battle. W.E. Fairbairn, a legendary British lawman in Shanghai and co-designer of the Sykes-Fairbairn fighting knife, had a “mystery house” constructed where his officers would enter a dark house replete with loud noise and confusing commands, screams, etc. As the officer advanced through the house, he was confronted with various scenarios, including hostages, aggressive-looking dummies and life-size targets that popped up and disappeared, and he had to use his pistol or knife to come out “alive.” This was in 1920, nearly 100 years ago. Modern military training increased the fire ratio to nearly 90 percent in Vietnam. However, the downside is that more than a million veterans developed Post Traumatic Stress Disorder (PTSD), which resulted in difficulties reentering society. Many turned to alcohol or drugs, and suicide, divorce, homelessness and mental problems became increasingly common. Our military overcame the problem of low-fire ratio among riflemen, but at a drastic cost. The FBI report “Killed in the Line of Duty” notes that in 12 of the incidents studied, the slain officer had a partner or backup, and 11 of these backup officers never fired a shot while their partner was slain. Because of the political or otherwise sensitive nature of the incidents, there was no investigation to determine the reason for this non-firing. It might well be that the officers hesitated or even froze. It does not seem possible that all 11 of those officers were unable to kill, but it might be possible that one or more certainly couldn’t. Law enforcement takes for granted that an officer will use force — even lethal force — when required, with only training in the skills necessary to properly apply such force. Very little attempt is made to determine if the recruit selected has the necessary psychological makeup to kill another human being when necessary. It would seem a given that the person applying for a position of peace officer is prepared to use force. However, many applicants have never had to prove or had the opportunity to prove to themselves that they were capable of inflicting severe pain to the extent of death on another human being. (This may also explain the poor accuracy rate demonstrated in many law enforcement shootings and the failure of some officers to even fire their weapons.) Some officers might be able to use lethal force because fear of peer disapproval or the exigency of the circumstances might trigger a survival reflex, but law enforcement history has demonstrated that many officers who have had to kill are forced to retire because of PTSD; the same PTSD that has been diagnosed in thousands of war veterans. The major difference is that the war ends for veterans, but the officer must go back onto the streets year after year and face the same kinds of scenarios that inflicted his trauma. Many are forced to retire for “medical” reasons. Intense psychological conditioning might overcome this aversion to killing, similar to that which the military has adopted, but at what cost to the officer? Additionally, the battlefield is not the city streets. In war, the enemy is (usually) in a uniform and shooting at you. The police officer cannot readily identify the enemy from other people. In addition, there are many “rules” that govern official shootings that the officer must follow before pulling the trigger. Essentially, the officer must be facing a lethal attack before shooting. He must be reacting to a perceived threat, which, of course, places him in an unenviable position. He will always be seconds behind the threat. Whether Grossman or Lorenz are correct in their reasoning, the fact still remains that some law enforcement agencies have experienced incidents that have encouraged them to develop scenarios designed to test the willingness of recruits to apply force, even lethal force. Further, the poor accuracy might, in part, be caused by officers hesitating to kill their opponent. SLA Marshall was revealed — decades ago — to have cooked his numbers, and even his methodology was crap: group interviews where participants would not reveal their actual feelings and actions (for fear of judgement by their peers) but instead say what they thought the group wanted to hear. The “multiply-loaded” Civil War muskets tale has nothing to do with reluctance to kill — firing into the ground or over the heads of the enemy would take care of that — and everything to do with fear and poor training. These soldiers THOUGHT they were firing at the enemy and failed to recognize that their weapon had malfunctioned. So instead of clearing the malfunction, they attempted to reload and fire again. That is not the action of someone who is trying to AVOID shooting the enemy. Nobody knows if they can kill another until the moment it happens. It’s easy for people to say “oh yeah I would do this or that” but until you pull the trigger you just don’t know. There are two types of people in the world- ones that can kill and ones that can’t. The article and the historical after battle analysis is ok as far as it goes, but many factors and influences are missing and need consideration. 1. Social and religious influences, the commandment “Thou shalt not kill” was the referenced passage, except that is not how it is written in the Jewish text. The Jewish (Original) version states “Thou shalt not MURDER”. That may seem minor, but it significant..
2. Throughout history most armies employed “special” units for specific tasks. These were not made up of draftees or impressed soldiers and their performance is significantly better than the average guy ” off the street soldier. There are several other factors that need to be considered in this analysis, but these two alone should make for some interesting outcomes. How the job is perceived by the soldier, “killing the enemy (another human being)”, or “eliminating a threat to soldier next to him” is critical to individual actions in any lethal situation. just remember, “It ain’t personal”. for when it is personal, it is as close to the “murder” part of the commandment. Omitted from this dynamic is the mindset and conditioning of the feral criminal predator. Steeped in violence, neglect, abuse, and a culture of amorality, life is next to worthless– yours just slightly more so than his. Buy Shooters Insurance.. the most you can afford.. One that pays up front, Pays your Bail,, Your Legal Fees , Expert Witnesses.. ..not after you been to a Bail Bondsman where you sign your interest in the mortgage (if you have a Mortgage) , max out your credit and are found innocent. You can successfully defend yourself and spent $200,000 easy doing it. You never know when you may have to defend yourself and a reliable Insurance provider to a considerable degree relieves the economic aspects of exercising your God given right to live. (yes i phrased it that way for a reason) That really is a significant consideration.. The Left knows this that is why millions have been spent placing anti gun prosecutors who as a matter of policy charge Self Defense shooters even when their actions are clear cut legitimate. 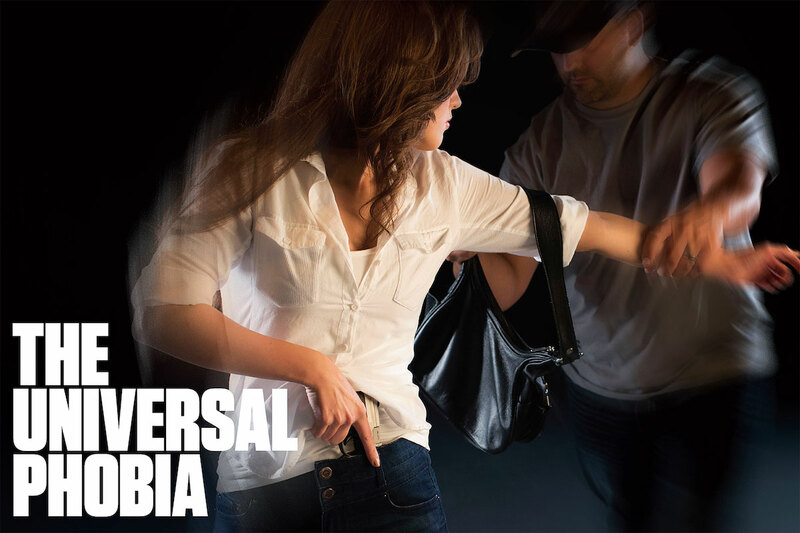 Learn the actual Laws with regards to self defense where you live. Yes it takes time but you need to be clear. Read everything you can about each and every defense use of firearms in your state. Learn from them. Set Boundaries for yourself… for others… stay aware of your surroundings and use good judgement where to go, Who you associate with. Don’t ever drink in public. Not even a glass of wine with supper. Drink rarely at the house never at friends.. The why of that should be obvious. The slightest alcohol puts you behind the 8 ball in any self defense scenario. Be conscious and conscientious of your everyday appearance and demeanor. Your “persona” posting and anything else that can be discovered will be used against you if possible. Truly learn the laws with regards to self defense for your State.. Truly learn how to properly employ your weapons.. Keep it simple.. If your not practicing more than once a month.. more than 500 rounds a month.. Seriously consider switching to a revolver.. your quite likely not putting in sufficient time to be competent in the operation of a Semi-Auto. The weapon handling techniques and various immediate action drills required to keep you and your weapon in the fight. There really is a brief checklist (which varies state to state) so I cwill not lay it out for you. I have seen and heard a lot of people saying they will do this or that if this or that happens .. Running Scenarios as a part of training is fine.. running one’s mouth is ill advised..
Get your emotions out this.. don’t focus on your weapon or their weapon.. focus on the event.. what is really happening around you.. Eat well, care for your physical health .. rest properly. Peform a Systems function test on yourself daily.. That can be as simple as playing a game of chess against your phone..
Where you are at mentally, emotionally , physically … matters a lot. Get to the right place and stay there..
Human evolution and the development of a massive prefrontal cortex have given us language and the ability to model reality as we ascribe agency and like minded thinking to other humans. Compassion, cooperation and reciprocal moral behavior have allowed humans to become the most successful and dominant species on earth. Thankfully, killing other humans is against our basic nature. Overriding this requires either a significant event or experience of violent threat, irrational rage, mental illness or the in depth immersive training for work in the military. While this override is necessary for police and military work it is not required for peaceful coexistence among average humans. And as the article explains, even the trained police officer and soldier may revert to the human default of non killing. While this is detrimental in the immediate situation it is definitely a positive quality having nothing to do with the religious codification of innate human behavior. Without this it would be purge 24/7/365. GEN Marshall had problems with credibility over time. However, natural law bolsters his results and Grossman’s statements. There are only two rules (each with very many corollaries to be sure): 1) Don’t die, and 2) breed. These two rules can be found at the base of any human action. Just like the politician who lies to get re-elected (#1), or transgresses sexually (#2), as an easy example. And increased shooting by soldiers pose Korea does not automatically result in increased PTS. The estimate of rounds required to kill the enemy was 55.000. Not exactly aimed fire. A lot of animals kill within their species. Most cats do, as do many others. We are not alone. I think there is a difference between killing an “enemy” you’ve never met and have no direct issue with across a battlefield or jungle clearing versus killing an intruder into your home or an armed and aggressive bad guy threatening you, your family, or an innocent bystander/victim. I can say this is not at all true where I work. A recruit is asked by an oral board, by his background investigator, and by a psychologist if they can use lethal force to defend their life or that of another. And then in the academy the issue is brought up over and over. This issue washes out candidates on a regular basis. Of course, this may vary around the country. If you believe the media, the police are just blood thirsty monsters that go to work every day hoping to kill someone…. While well written and insightful, I find the use of “phobia” pertaining to theses circumstances an improper use of the term. It really isn’t extreme nor irrational to NOT want to possibly have kill another human, being human themselves means the person can and does relate to other humans. This condition is NOT a “phobia”. And thank god for this unwillingness in our society, or the prisons would be far more numerous than they are now. Fight or flight. Thats what it comes down to. There’s a big difference between LEO, soldier, civilian killing. Loaded muzzle loaders loaded multiple times? I believe it.Its called battle stress.In AIT I met a SFC(E7 Sargent First Class) he was awarded the Medal of Honor. His fire base was overrun. His 105mm section was KIA, WIA.He kept fighting all night.Fuzing,Loading,sighting,pulling the lanyard.Killing the enemy with beehive rounds.The next morning a React team had to pull him off the gun.He was still going through the motions of loading and firing without any ammo.The dead enemy were so close some still had thermite grenades in their hands, trying to shove them down the tube.BTW: even outranking NCO’s,Officers must salute an MOH recipient. Perhaps Marshall never heard of grizzlys. The males routinely kill grizxly cubs so that the sow will come into heat again. Male deer often fight and kill one another. The premise that man is the only species that kills intra species is false. Great article and I’ll be sharing this with my command staff and fellow instructors to see how we can implement better training for my agency. The Gettysburg statistics makes no sense at all. The implication seems to be that some soldiers were repeatedly reloading their muskets in a effort to “look busy”, while not actually firing. Any one supervising or fighting along side such a soldier would have noticed this rather easily. Hey, Joe is always reloading but I never see any smoke cloud around him, and his hands aren’t getting all sooty either. And that ramrod isn’t even going halfway down. If his CO examined his musket later, it would be obvious what he had done. Much more likely that the soldier who could not kill would keep firing but his aim would always be a little bit “off”. It raises the question of whether F.A. Lord’s account is even true. It is useful to have been in a perceived lethal situation to understand how training goes to performance. I.e., if you do not practice actually dialing 911 on your device or real telephone, you will find, as your heart rate goes from whatever you call normal to its max possible, that you will NOT be able to dial the number. This performance failure has been noted in individuals ever so much better prepared for life threatening situations and what they need to do under such conditions than you…Period. I’m not saying the overall point is wrong, but I believe SLA Marshall has had his work on the subject disputed.